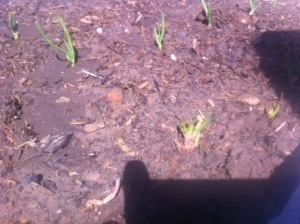 Everything we planted has come up except for the green beans, parsley, and green onions that we sowed outside. I hope they come up soon. 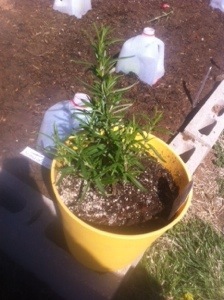 I bought a rosemary plant that will hopefully grow better than last years. Also pictured below are onions.